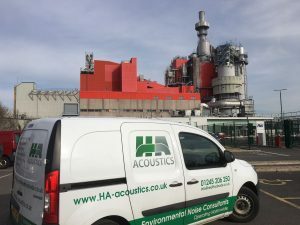 HA Acoustics specialise in long-term remote monitoring for noise, vibration and dust generated through demolition, construction and industrial processes. Our noise monitoring services help to keep sites working, safely and compliantly. Increasingly Regulators and Local Authorities require companies emitting noise, vibration or dust to ensure that their environmental safeguarding duties are responsibly met. HA Acoustics provides long-term, unattended noise, vibration and dust monitors. Our noise monitoring services involves installing monitors on your site in a safe, professional manner. Our environmental monitors continuously log their environment, using the latest technology data is captured, recorded and accessed via our 3G wireless systems. This enables you to login via a web portal to see real time data. Our consultants can set trigger alerts to alert your operator, site manager and project managers when triggers are exceeded. Permitting you to take prompt action to prevent any penalty or enforcement action. For noise monitoring our noise meters enable audio clips to be heard enabling identification as to whether your site or another activity (e.g. aircraft overhead, police car, late night reveller) was the cause. Our technicians can install kit across the British Isles with minimal notice; we’re a small, friendly, professional company. 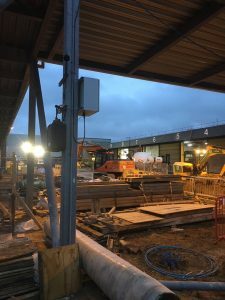 Our approach enables HA Acoustics to offer you the installation and hire of long-term remote monitoring of noise, dust and vibration at a competitive price. Our Director is a former Environmental Health Officer with a great understanding of the regulatory processes. Therefore, if you also require environmental consultancy advice, detailed reports, noise modelling or acoustic consultancy advice our consultants can support your project throughout. For further information and a no-obligation quotation, on our long-term, remote noise, vibration and dust monitoring contact HA Acoustics. No-obligation, no-cost, telephone consultation to determine your projects requirements. HA Acoustics will determine the most optimised solution for any noise, vibration or dust monitoring situation. We’ll advice on the position of monitors, your site, Health and Safety aspects and provide specific Risk Assessment Method Statements. Site installation at short-notice. Our technicians cover the British Isles, where preferred our environmental consultant will accompany our technician. We will install all equipment, calibrate and ensure safe running of all noise, vibration and or dust monitoring equipment. We will test all communications, ensure 3G coverage and/or wifi coversage and ensure that our dedicated data server and secure cloud are properly connected. HA Acoustics will set trigger levels for noise and vibration levels and dust particulates. Where desired we’ll incorporate your telephone number, email address in, so as to ensure 24/7 alerts via SMS/e-mail, when trigger levels are exceeded. HA Acoustics guarantee safe, secure storage of your noise, vibration and dust monitoring data. We’ll password protect the site, enabling you and dedicated users access through any web browser, including mobile devices. This will enable you on-line, real-time data viewing with fully customisable noise, vibration and dust statistical parameters. If you don’t know what that means, don’t worry we do and our environmental consultants are always on hand to assist. To ensure your regulatory and environmental safeguarding responsibilities are met. All data can be downloaded in tabular or graph format from our portal. Basic noise, vibration and dust reports can be generated at the required frequency (daily, weekly, monthly). Detailed noise, vibration and dust reports can be generated, bespoke made to suit your business or project, often desirable to ensure regulartory compliance. These reports detail weather conditions, site activities, equipment calibration and checks and our professional qualifications and industry expertise. HA Acoustics provide long-term noise monitoring, remote vibration and dust monitoring. HA Acoustics offers long-term noise, vibration and dust monitoring to safeguard your business, ensuring compliance. Our technicians understand construction and how to work with your site managers to install our kit in a safe, discreet location. Our Director’s a former Environmental Health Officer this enables HA Acoustics to offer consultancy expertise and where required liaision with regulators or the local authority on your behalf. 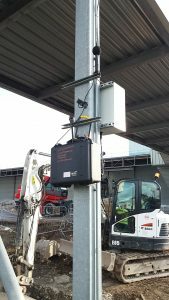 Our professional service enables rapid installation of long-term, remote noise, vibration and/or dust monitors on your site, across the UK. As a small consultancy, our cost-effective solutions enable 24/7 remote systems access, with SMS/email alerts. We’ve worked on demolition and construction sites, outdoor festivals, petrochemical and industrials sites, airports, sporting and motorsport events.